The R.M. Williams Comfort Craftsman Chestnut features a classic chisel square toe and flat heel with sewn welt plain non-slip composition sole and comfort innersole. R.M. Williams Comfort Technology features a fibreglass airport-friendly shank, which reinforces the shape of the boot and supports the arch. Padded heel lining increases the superior comfort of the insole. Soft, durable microfibre ‘sock lining’ draws moisture away from the foot, allowing it to breathe. Light sole construction increases flexibility while retaining the durability of a composition sole. Made in The R.M. Williams Adelaide factory, the R.M. 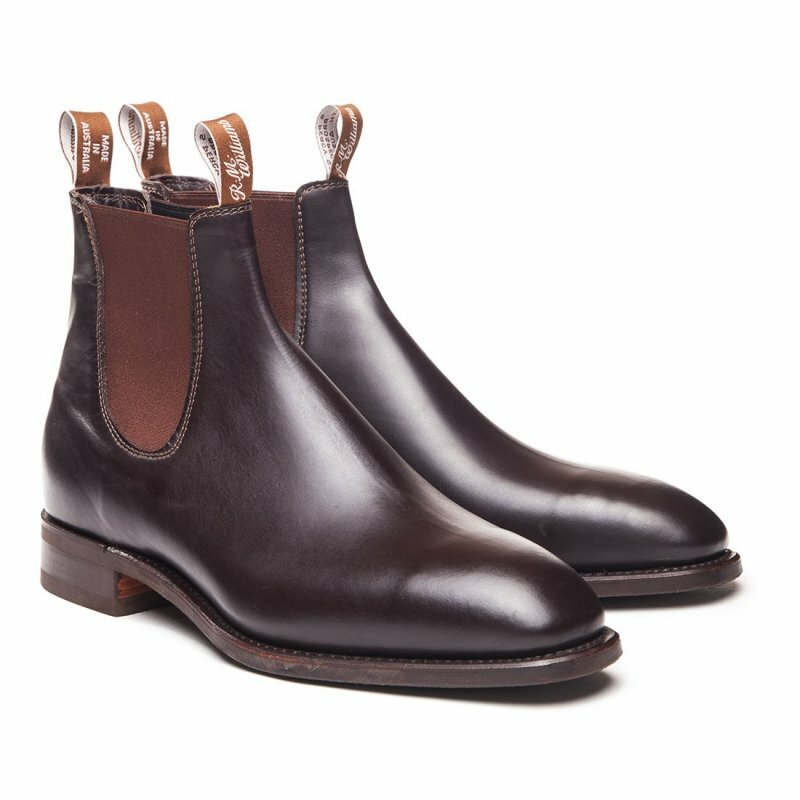 Williams Comfort Craftsman boots are beautifully constructed and uniquely made from one piece of leather. The Comfort Sole is perfect for everyday wear.